All kids are invited to help us kick off Vacation Bible School season here at Aspen Park! 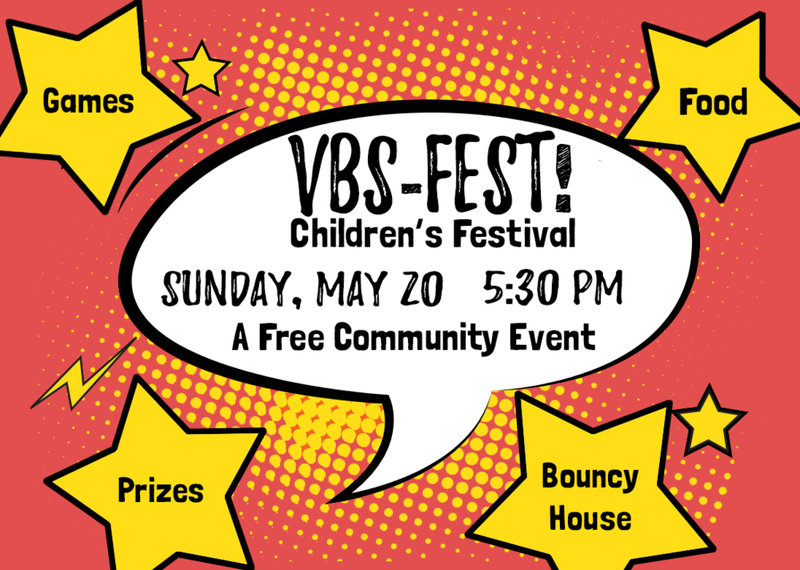 Sunday, May 20, at 5:30 pm will be VBS-Fest, a children's festival to promote VBS later this summer. This party will have games, prizes, food, and even a bouncy house! We hope you and your child can join in for lots of fun. This is a free event for our community. The theme for VBS 2018 is 'Game On!' Vacation Bible School will be held for kids in K- 6th grade on June 4-8 from 8:45 am to noon. Sign up in person at the festival or using our online form after May 20th.